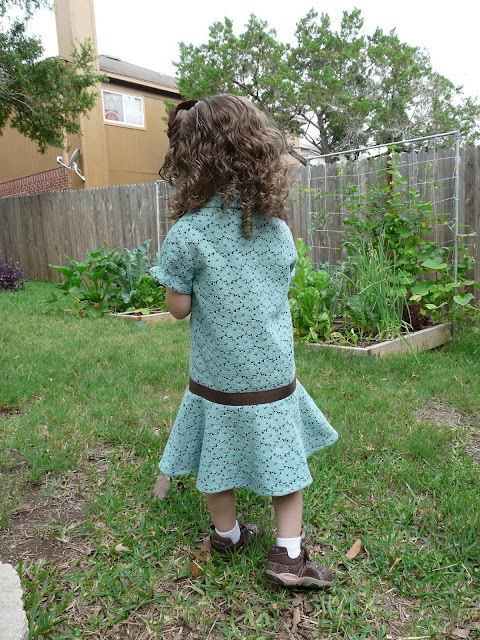 After using stretch polyester lace a few months ago, I decided to try some cotton lace for a summer dress for Rachel. This fabric is from Mood and has a nice weight to it – not too heavy but substantial enough for a dress. It was very easy to work with and ironed well. Of course, being lace, it needed some type of underlining. I tried it atop lots of different colors and finally chose a dark teal cotton. I chose a simple pattern for this dress in order to show off the lace. I cut a 1/2 for the width and a 1 for the length – just like the last dress I made for her – but it is a little big. Apparently I am still learning toddler sizing. Finding buttons to match this aqua color was just about impossible. 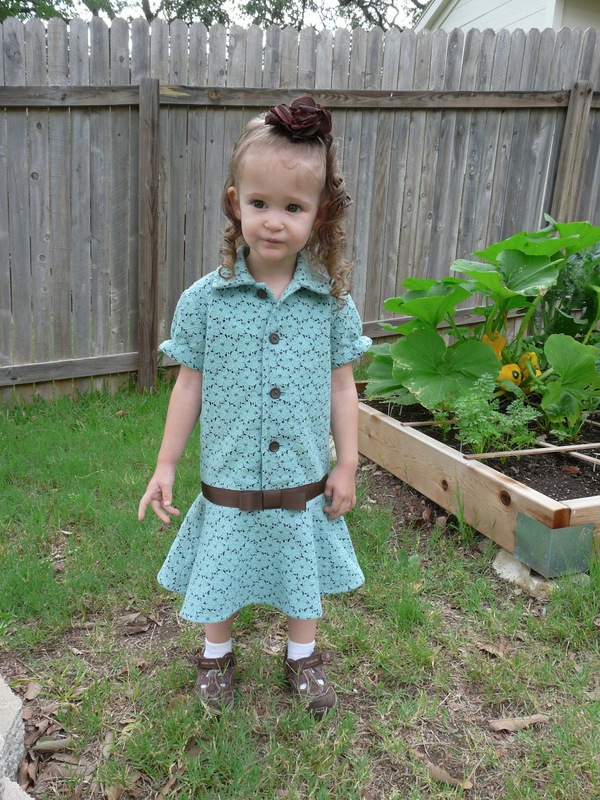 I did find some aqua flower buttons that matched but did not want to sew flower buttons over floral lace. Then I had an epiphany and decided to do contrasting brown ones. The ribbon belt brought in more brown and I love the little bow in the front. I sewed all of the underlining to the lace first, then constructed the dress as instructed. Because the collar has 4 layers to it – lace and underlining times two – I left off the interfacing. The hardest part of making clothes for little people is always setting those tiny sleeves into the tiny armholes. It’s not the fabric ease that’s hard for me, it’s getting my machine foot in there. I always get poked with my pins a bunch of times during this step. 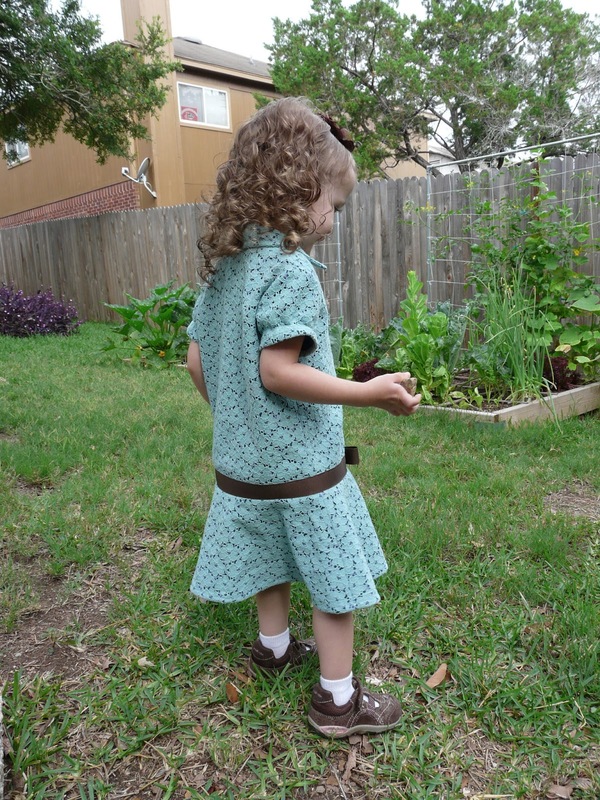 I really like the peeks of dark fabric that can be seen at the sleeves or hemline when my daughter wears her dress. 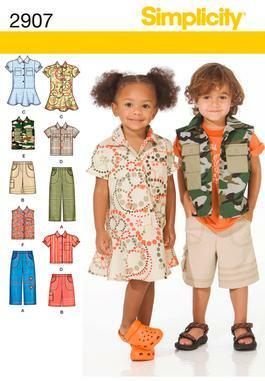 The inside seam allowances were trimmed to about 3/8″ and finished with the overlocking stitch. When I sewed on the ribbon belt, I used brown thread in the machine and aqua in the bobbin to keep all the inside threads the same color. I used Simplicity 2907. This is a pattern I bought several years ago, then wondered why I’d purchased something so plain. It worked really well for the fabric, though. I doubt I’ll be using it again since the sizing is so loose on her and I’m not in love with any of the other views. 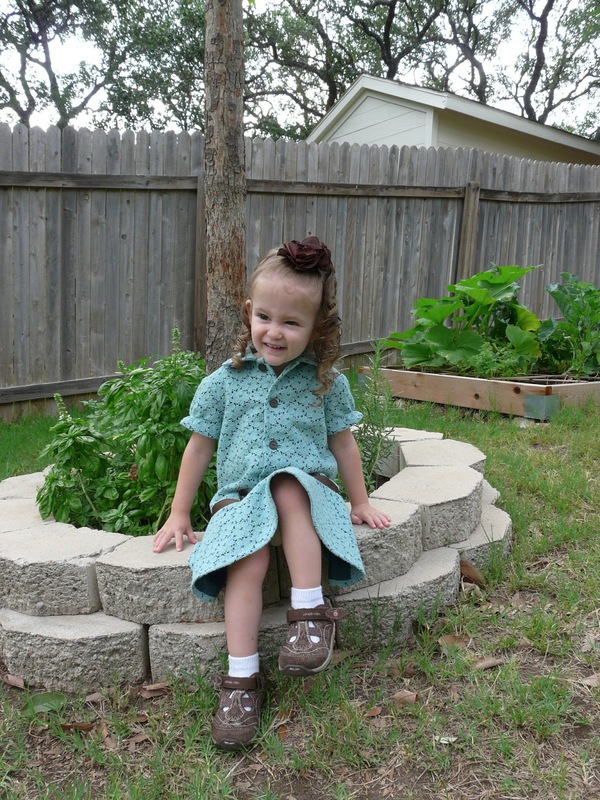 Sewing little girl clothing is a little addicting! Summertime Calls for Knit Tops: Three New Ones for Me!